It’s becoming a recurring theme with our clients that their recruitment team is not providing the talent they need in a timely manner to fuel the growth of their business. They’re also concerned that candidates (who could also be customers) aren’t being managed with courtesy and respect. It seems that a well aligned, equipped and responsive Recruitment function is a rare thing. But experience tells us that when you do get it right, it makes a material difference. Recruiting has the largest influence on revenue growth and profit margin of all HR and talent levers. The most capable companies who delivered on recruitment experienced 3.5x greater revenue growth and 2x profit margin than the least capable companies. (Source: BCG Study – ‘Realizing the Value of People Management‘). The size of the recruitment team and costs involved are a small part of an organisation’s overall workforce and costs. But, its influence when effective can be disproportionately large. We’ve had extensive experience as both clients and consultants in all types of talent acquisition activities. We’ve led TA teams, outsourced to RPO service providers and established recruitment teams for large TA projects for clients. Additionally, over the last ten years we’ve successfully built an executive search and talent intelligence business. So…we know a lot about recruitment, search and talent acquisition. Built on the broad experience and insights we’ve accumulated, we’ve developed a solution to help our clients improve their Talent Acquisition outcomes. Leveraging a robust Framework, we conduct an independent review of the effectiveness (quality, stakeholder satisfaction and alignment) as well as efficiency (time and costs) of your talent acquisition activities. We take a 360 approach, incorporating the direction of your business strategy, HR plan and needs of your key stakeholders and managers. In addition, we take into consideration the experience of candidates recently successful and not, and a conduct a review of the current recruitment processes and approach. On completion, we provide a report containing findings, recommendations and suggested approach for key short and medium term priorities. We were recently engaged by an ASX 50 organisation to review their talent acquisition strategy and actions. Here we found the Recruitment Team to be at a cross road. Stakeholders wanted to see the Recruitment team move from being administrative, reactive and service oriented, to operating on a greater value-add platform. For this to happen, a significant shift needed to occur. Encompassing strategy, mindset and personal levels of responsibility of all who engage in the hiring process. This included line managers, the broader HR function, and the Recruitment team itself. 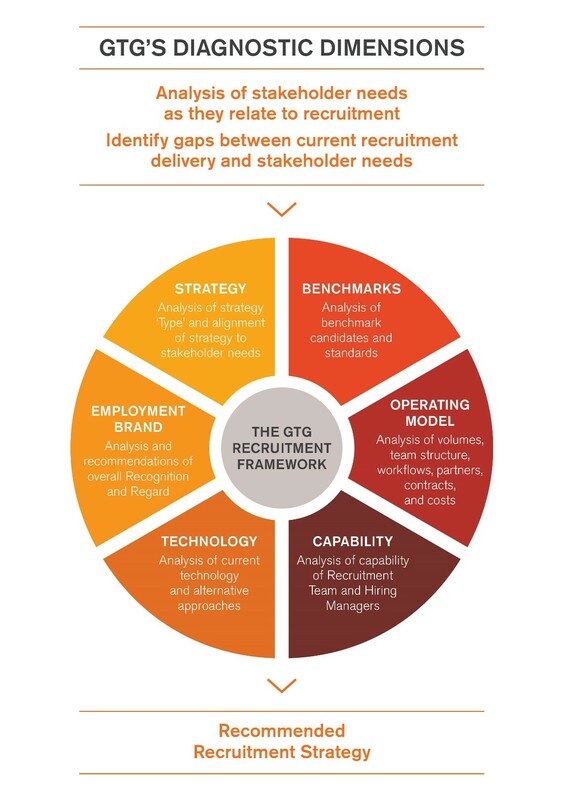 Our work focused on how recruitment was positioned as a sub-set of the organisation’s overall Talent process or value chain. With Talent itself being a subset of the overall Human Resources value chain, and how those hand-offs could be made more effective and efficient. Generator Talent Group brings a different perspective and level of expertise. Our Partners have seen and led recruitment from all angles and at all levels. We’ve been HR Directors, led RPO Organisations and Operations, gained deep experience in Executive Search and embraced the emerging worlds of Talent Pooling and Market Mapping. We bring a combination of technical expertise and real-world pragmatism. Experience in both assessing current state and in developing options that can be considered and formulated into the Talent Acquisition Strategy. If you need some help in this area or want to learn more about how we could help, then get in touch.